As advertising budgets lighten up, advertisers are seeking non-traditional, cost effective ways to promote their clients and business. Building wraps have become a very popular way for advertisers to take their messages to the streets. With impressions that equate to billboard media, building wraps provide maximum exposures without the monthly rental space of a billboard. Billboard advertisements are designed to catch a person's attention and create a memorable impression very quickly, leaving the reader thinking about the advertisement after they ave driven past it. We design and print billboards for our clients. Decals, graphics, and lettering from outdoor durability to self-adhesive vinyl film. Specializing in custom work, we also offer hundreds of pre-designed, ready to order images. 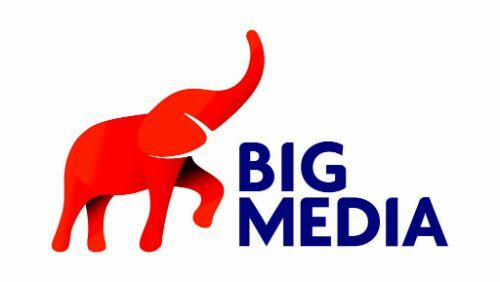 With competitive pricing, and first doss customer service, Big Media is the first and last place you should look for all your die-cut sticker, decals and vinyl graphics. All of our vinyl banners are printed at a high resolution to provide near photo-quality results. Our banner prices include finished edges and grommets at no extra charge. And there are no setup fees when you provide us your ready-to-print art files. Vinyl banners are one of the most cost-effective forms of short-term advertising. Full color vinyl and custom banner signs are digitally printed using the latest technology and the most durable inks and material. Banners are a great way to promote your business both indoors and outdoors.